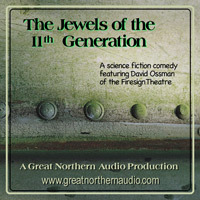 Featuring David Ossman of the Firesign Theatre. Recorded at the Mark Time Radio Show, at CONvergence 2006. "This is also a lot of fun and well-written. Mix that with excellent acting, including the talents of David Ossman of Firesign Theatre, and you know exactly why I enjoyed it so much." Performed at Convergence, July 7, 2006.